The mingling of marginalia and text poses numerous practical challenges for transcription, and some of the questions explicitly deal with whether the marginalia should be disentangled from the text, or whether “where one begins and the other ends” (Laura Estil, “Encoding the Edge: Marginalia and the TEI” https://journals.psu.edu/dls/article/view/59715/59912) remains open to discussion. 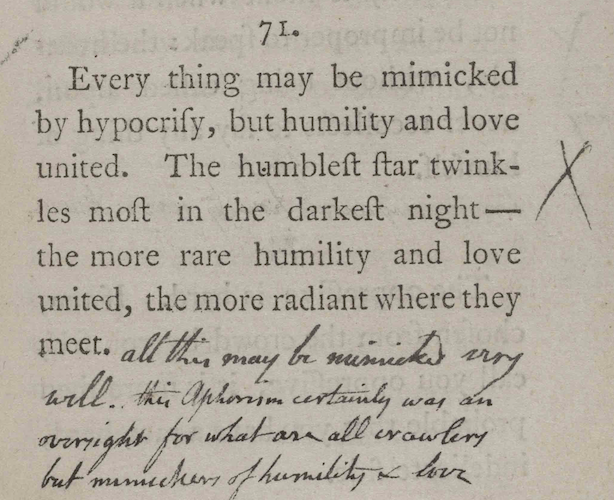 Recent blogposts by Team Marginalia consider the different ways of approaching tricky situations, such as where Blake crosses out a printed word and replaces it with one of his own. 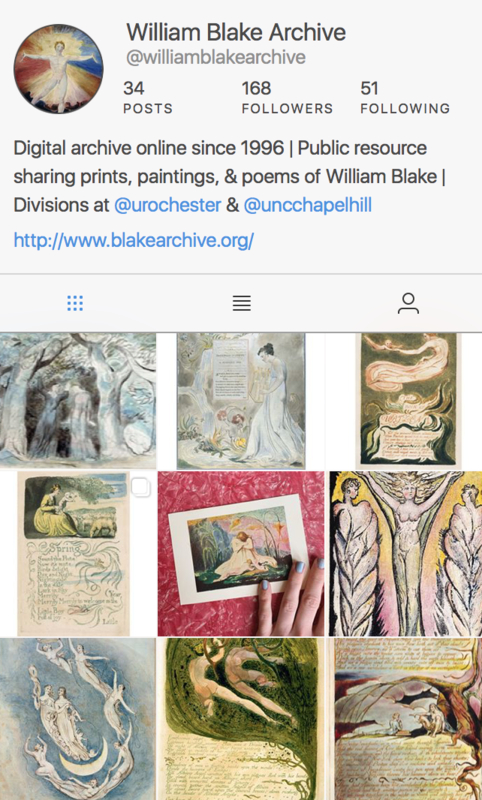 In fact, Blake (and others scribbling all over books) have more freedom to become enmeshed with the text than we at the Blake Archive do with our “comments,” which are designed for internal use and not meant for publication. First of all, it’s very difficult for them to mingle with the rest of the .xml file because they’re green, and enclosed by exclamation marks. You can see them coming a mile away. And while it is true that unlike Blake, who engages intimately with what he reads, we normally use the comments for more technical as well as collaborative purposes. This leads me to wonder about the future of our own (green) marginalia. Team Color Code often discusses the specifics of citing Justin Van Kleeck’s comments, since they provide us with such a reliable guideline for transcription, but what about the more ephemeral ones? Will they survive in some form in the future, even after these works are published, and continue their friendly/frenzied interactions within the BADs (Blake Archive Document), or will they only last as long as it takes to solve the problems and then be forever consigned to oblivion? 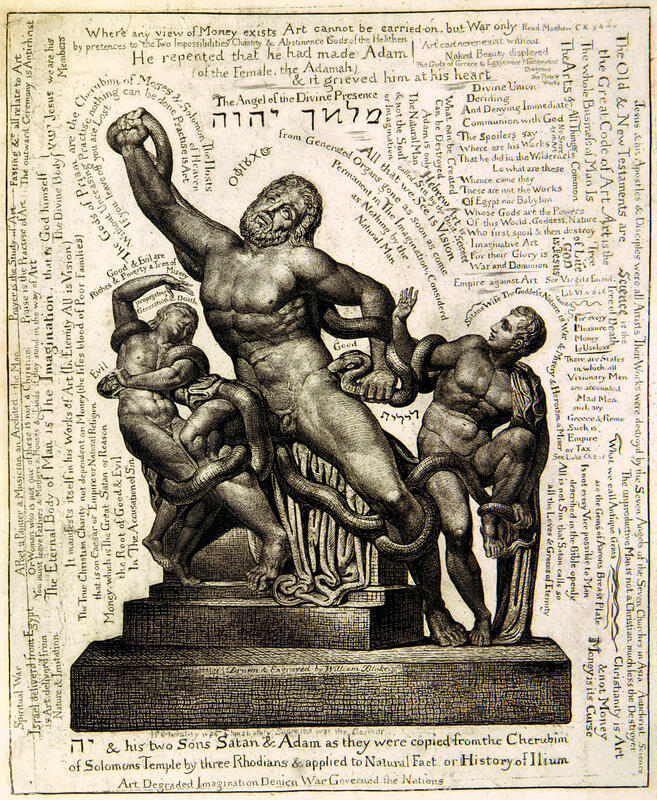 Pingback: Marks of weakness: Marginalia and Comments | Uncategorized | Aggregated blogs on Romantic Studies - please click through to read full posts.